Ahoy! 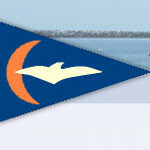 You have found your way to the official photo gallery for the Half Moon Bay Yacht Club. If you have a collection of photos you'd like to submit, please email gallerymaster@hmbyc.org to arrange for a handoff. Alternatively, you can package your photos into a .zip file and use the file transfer service "Hightail" to submit your photos. For your convenience, we have created a Hightail account for Yacht Club members to use (hightail.com; login: gallerymaster@hmbyc.org; password: hmbyc123). This service is free provided the file you send is less than 250mb. If your .zip file is larger than that, please divide it into smaller files. Here are some guidelines we respectfully request you follow: Please submit only a few carefully selected photos, only the best, no multiples of the same view/item (i.e., we don’t want five shots of the same row of boats on beach). Don't be afraid to send us your full resolution images; our system has no problem handling and displaying large images. Please use individual disks or folders for each subject with explanatory folder names, a clear description and date of the event covered, and don't forget to provide your name for credit. Thanks!